Euthanization, or “putting a pet to sleep” as it is commonly called, is a gift of kindness when a pet is suffering or not enjoying a good quality of life. Making the decision and then knowing “when” to choose euthanasia are among the most difficult decisions we, as pet owners, must make. These are individual decisions and often there is no right or wrong answer. 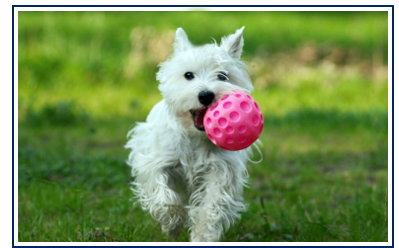 Is your pet able to participate in his or her favorite activities? Is your pet able to urinate and defecate normally? If assistance is needed, do you have the time and physical ability to do this? Is your pet coughing or having breathing problems? Is your pet in pain or having difficulty moving? If your pet is having any of the above problems, has he or she been examined by your veterinarian to determine if there are treatable causes? Are treatments or medications no longer helpful? Is your pet wanting less contact with you, your family, and/or the other pets in your home? Has your pet been diagnosed as suffering from an illness or disease in which recovery is not likely? Is your pet having fewer ‘good days’ than ‘bad days’? When bad days outnumber good days, quality of life is often compromised. Keeping a daily record is helpful. Quality of life and pain scales (see links below) are also valuable resources in assessing when saying a gentle goodbye may be the best thing for your pet. Finally, another important consideration in your decision-making process is the impact your pet’s declining health and abilities is having upon you and your family. You should not feel guilty if you can not meet the physical or financial needs of your pet as his or her health and/or aging issues progress.